Twelve percent of all women of childbearing age struggle with infertility, or 1 in 8 couples. Despite these statistics, and the fact that so many women struggle to have a child, most of them feel alone, in part because those closest to them don’t know what to say or how to say it. Perhaps you are one of these people. You don’t want to offend your loved one; you don’t want to make her sad; you don’t want to intrude on her privacy. But you also don’t want her to feel alone. You want to offer love and support and the opportunity to discuss what she is going through. 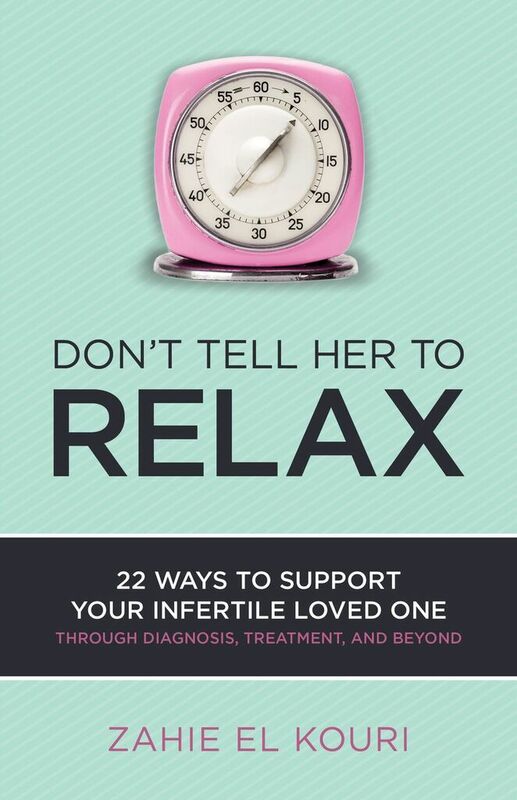 Don’t Tell Her to Relax: 22 Ways to Support Your Infertile Loved One Through Diagnosis, Treatment, and Beyond can help.